Domestic Trailer and Poster for Romeo & Juliet is Here. Hailee Steinfeld, Douglas Booth, Stellan Skarsgard and Ed Westwick star in the new adaptation of William Shakespeare’s classic love story. 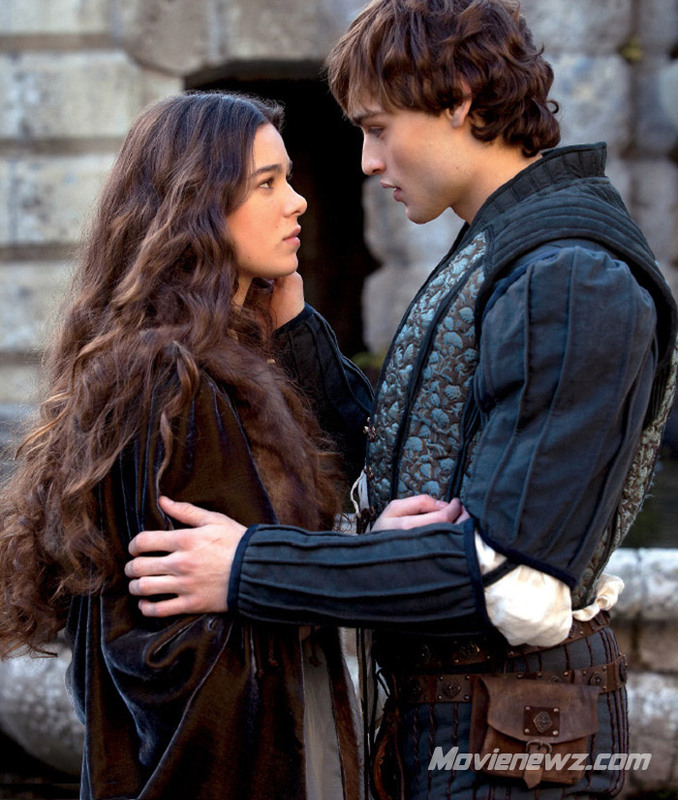 See the movie trailers and photos for Romeo & Juliet below. When Romeo (Booth) and Juliet (Steinfeld) “star crossed lovers” of two enemy families meet, forbidden love ensues. 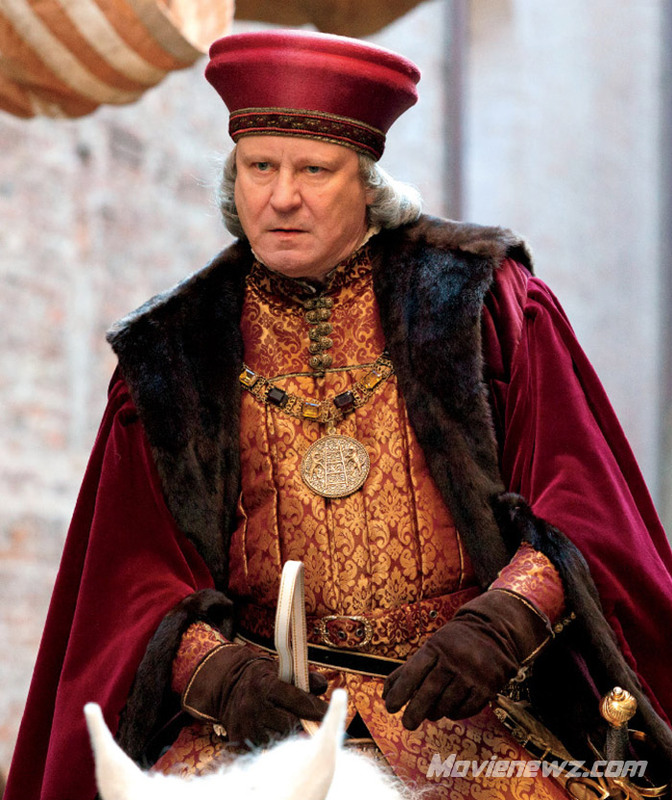 Julian Fellowes (Downton Abbey, Gosford Park) adapts one of Shakespeare’s most enduring plays for a new generation. MPAA Rating: (PG-13) for some violence and thematic elements. In the fair city of Verona. Romeo (Douglas Booth) and Juliet (Hailee Steinfeld), the children of the feuding Montague and Capulet families, meet at a feast and fall deeply in love. Despite the sworn disdain their families hold for one another, they steal away and are secretly wed by Friar Laurence (Paul Giamatti). 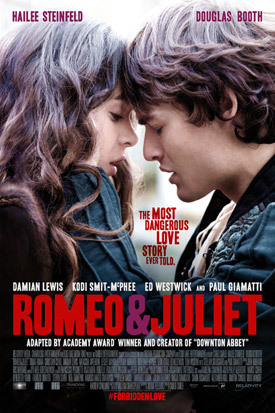 It is not long, however, before trouble ensues… Unaware of his daughter’s transgressions, Lord Capulet (Damian Lewis), Juliet’s father, has arranged for Juliet to take the hand of Count Paris (Tom Wisdom) in marriage. Devastated and defiant Juliet seeks the counsel of Friar Laurence, who concocts a devious plan that will alter the lives of both families forever. Oscar-nominated Hailee Steinfeld (True Grit) plays the bright, young Juliet, with British heartthrob Douglas Booth (Great Expectations) playing her star-crossed lover, Romeo. The House of Capulet is rounded out with Damian Lewis (Homeland) as Lord Capulet, Natascha McElhone (Californication) as Lady Capulet, Lesley Manville (Another Year) as the Nurse and Ed Westwick (Gossip Girl) as Tybalt; with the rival Montagues played by Tomas Arana as Lord Montague, Laura Morante as Lady Montague and Kodi Smit-McPhee (Let Me In) as Benvolio. 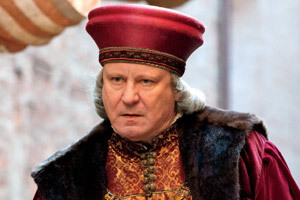 Other actors include Paul Giamatti (Sideways) as Friar Laurence, Christian Cooke (Cemetery Junction) as Mercutio, Tom Wisdom (300) as Count Paris, Leon Vitali (Eyes Wide Shut) as the Apothecary and Stellan Skarsgard (The Girl with the Dragon Tattoo) as Prince of Verona.